The LED Poseur Table uses a built in wireless LED system to illuminate it's surroundings. The table top is machined to take 6 LED modules which each have 15 RGB super-bright lights. This is run by a powerful, rechargeable NiMH battery housed inside the leg of the table which supplies up to 24hrs of use from one charge. The LEDs are controlled via an RF remote which allows the user to change the static colour and brightness, or select strobe/fade/flash patterns. 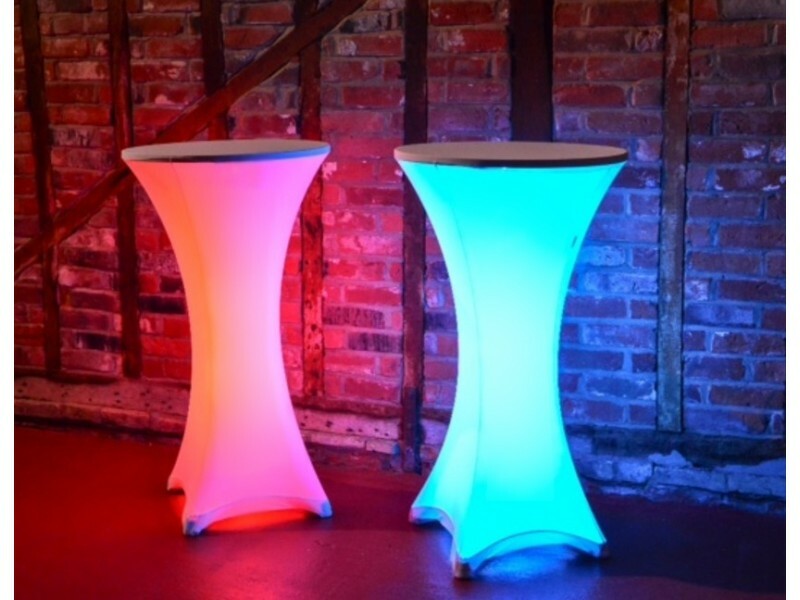 The poseur table can also be fitted with our Poseur Table Stretch Cover which looks great when illuminated from within. 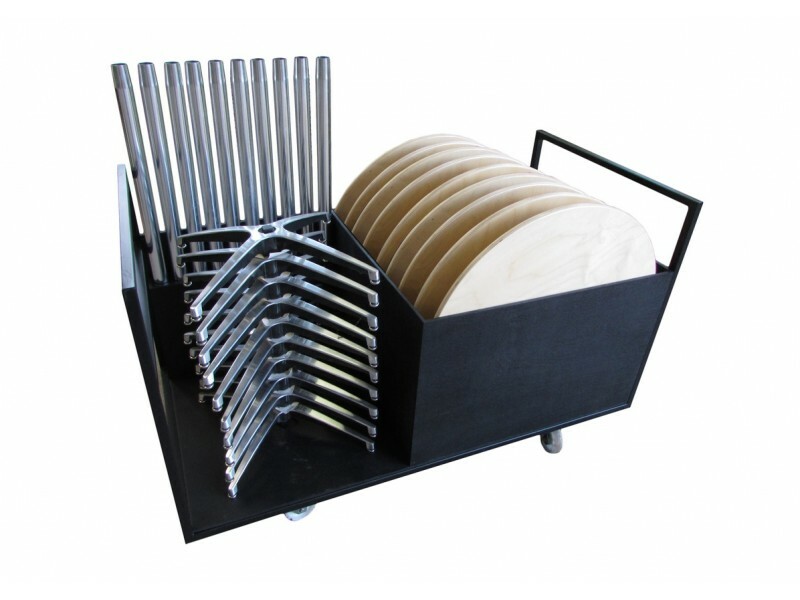 Our purpose built trolley is the perfect storage and transportation solution, safely housing up to 1.. 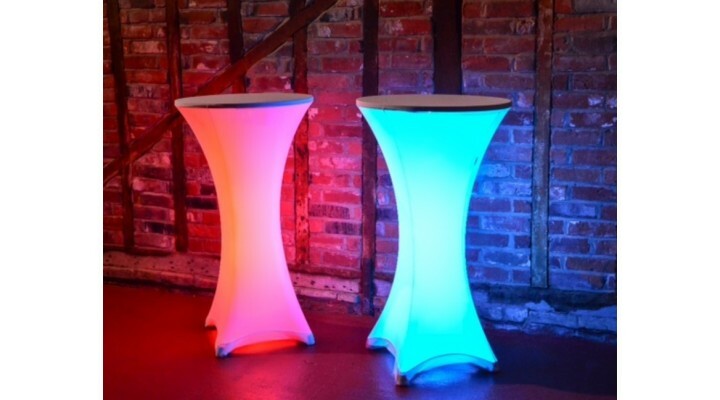 Available for our LED Poseur Table and 42" Standard Poseur Table, this stretch cover gives the .. The poseur table hard cover protects the table top and stretch cover from food and drink spillages w.. This package contains 1x stretch cover and 1x hard cover of your choice.They are manufactured to fit..